Needless to say, I’m very excited to be joining Rachel Fisch (@FischBooks) and Galit Sugar May 8th in Toronto for a Sage Session discussion on how technology is changing the relationship between bookkeeper and accountant. As you can imagine, I’ll have plenty to say! I marvel every day at how the right combination of technology, carefully considered and deployed, makes my job easier and more efficient. In turn, that means I can offer faster and more accurate services to my clients, big and small. Take a look here at the full selection of Toronto sessions. 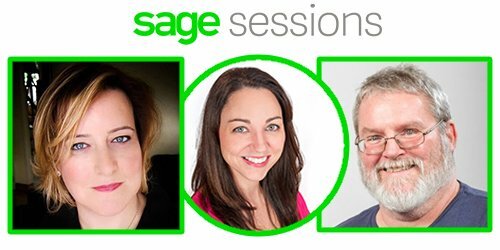 Sage Sessions comprise a single-day event designed for Sage customers driving the economy. Sessions are held across North American. Here is the full schedule.